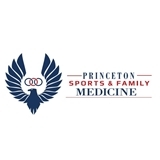 Princeton Sports and Family Medicine (Lawrenceville) - Book Appointment Online! ** Please fill out the check-in forms prior to your scheduled appointment. ** The board certified physicians at Princeton Sports and Family Medicine diagnose and treat acute and chronic illnesses as well as practice preventative medicine. Our staff takes pride in going above and beyond what is required to ensure that each patient is focused on their recovery and continued wellness. We recognize that a positive medical experience also requires excellent administrative support. From scheduling your very first appointment, to answering your questions and concerns regarding your insurance and medical benefits, we will be there to help you. Our team of physicians diagnose and treat illnesses and injuries, perform annual/sports physicals as well as perform health assessments, immunizations and other screenings. She is very friendly and professional. Made me feel comfortable the whole time I was there. I am a new patient and felt Dr. Barlis was friendly, professional and very attentive to my care and needs. The office staff was friendly, professional and very helpful . Dr. Kim was very ice and professional. He identified issues and resolutions right away.